This was my first experience on sailing with passengers. 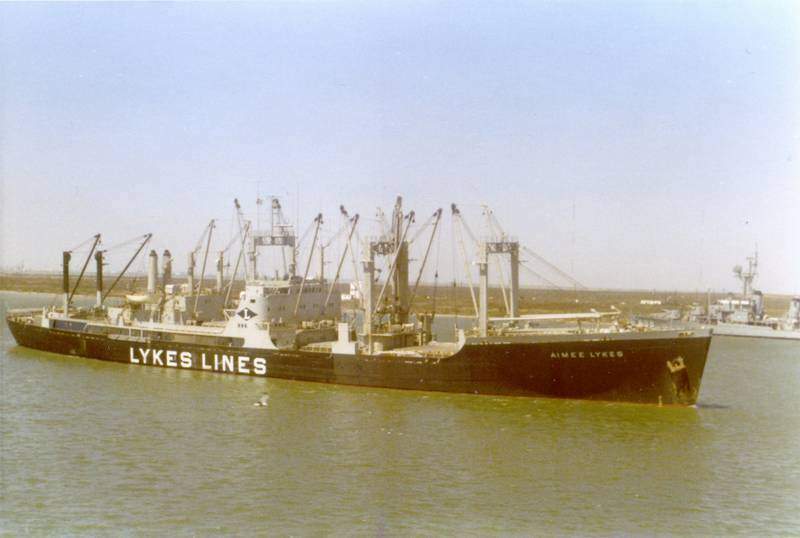 The Lykes Brothers Steamship of New Orleans had acommotation on all ships for either 4 or 12 passengers. The Aimee Lykes had the capability of transporting 4 passengers. This was actually quite a deal. 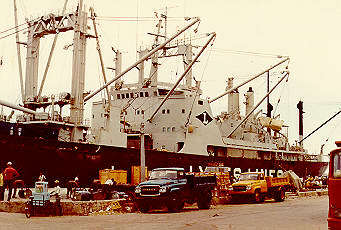 The voyages to Africa could go anywhere from 75 to 100 days depending on ports and other issues. The fare at the time for an African trip was in the neighborhood of $1600. A person could not live cheaper at home! 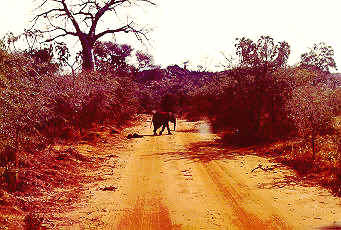 On safari with the passengers, we saw may African wild life while we were at Tsavo National Park in Kenya. 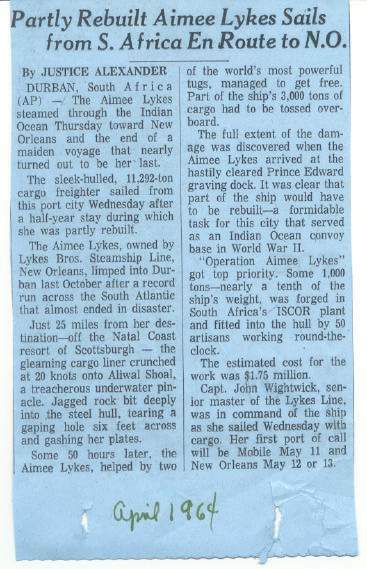 Thanks to Mr. Thompson Lykes for providing me with this clipping from an incident when Aimee ran aground on an early voyage in her career.